This is a beautiful set of 2 Standard Size Pillow Cases from Cynthia Rowley . 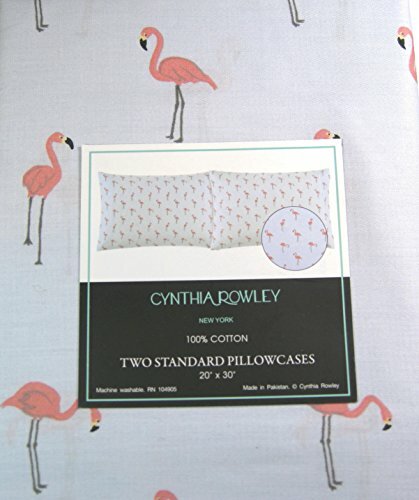 The Pattern has pink flamingos throughout the pillowcase.Cynthia Rowley is well known for premium quality and long lasting products. Finished Sie 20" x 30"
If you have any questions about this product by Cynthia Rowely, contact us by completing and submitting the form below. If you are looking for a specif part number, please include it with your message.